For those of you none Facebook people out there here’s some information on the viewing party at McCann’s. McCann’s is your number one spot on Long Island to view all of Iaquinta’s fights as well as every UFC event. McCann’s will be running the same deal as usual for Al’s fights. There will be a $45 open bar from 9pm- 12am ($40 open bar and $5 towards the staff) Appetizers will be put out as well. Iaquinta vs. Lauzon will be the third fight of the main card on PPV. The main card starts at 10pm. I urge you to get there early. The bar will fill up potentially to the point where people will be held at the door. Although the inside will be reserved for all of us get into the building as soon as possible. Also a reminder that all are welcome even if you aren’t doing the open bar. Please come down have some food and a drink and support Al. Looking forward to seeing everyone Saturday night! 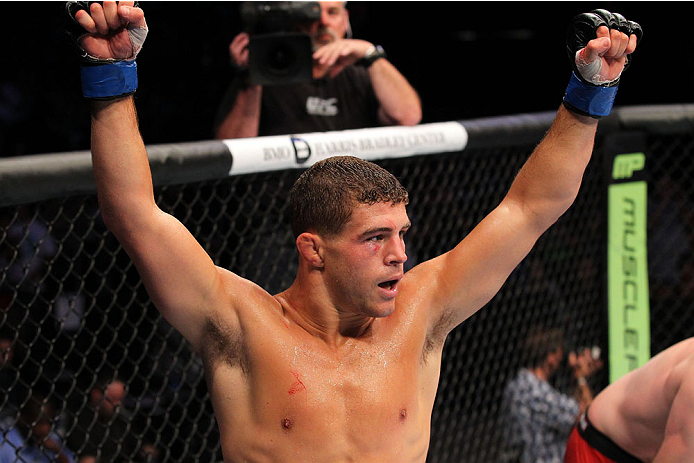 If you haven’t had a chance yet check out UFC’s Countdown to UFC 183 featuring this weekends fight between Al Iaquinta and Joe Lauzon. The video offers a look into both fighters camps leading up to this much anticipated light weight match up. Follow along as Raging Al looks to make a statement and continue to climb his way up the ladder in the division. Hey everyone. Just a reminder that UFC Fight night Iaquinta vs. Damm will be here before we know it. 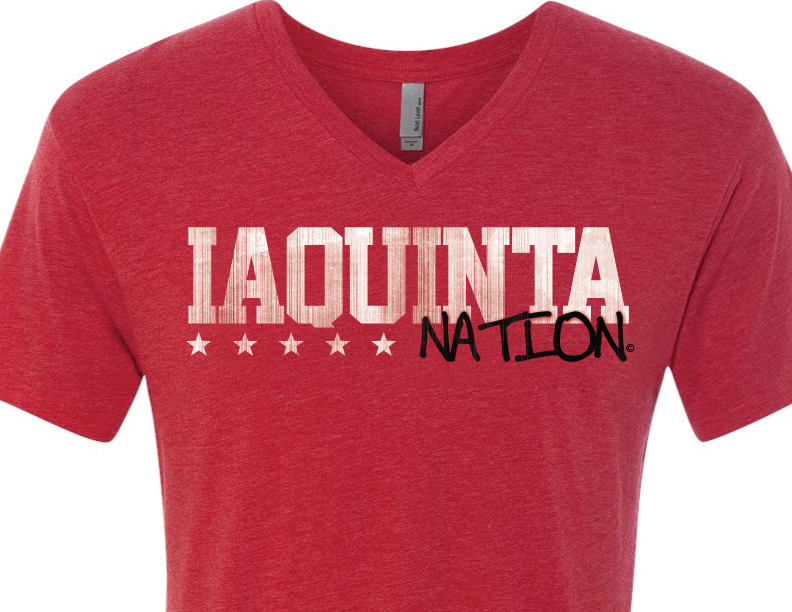 We still have all sizes of the red V Neck Iaquinta Nation shirts still available. The shirts are great for the summer and fall, as well as an awesome way to support Al leading up to and during his fight. Shirts are $30. Please contact me at MattPellicane@gmail.com to place your order. Tickets for the fight which will be at The Grand Theater at Foxwoods Resort are on sale starting today. Here’s a link that will show you the full card for the event. On the bottom left of the page you’ll see a button to purchase tickets through TicketMaster. We hope everyone in the New York area is able to make it to Foxwoods for the fight. Please feel free to contact me with any additional questions. In case you missed it over the weekend, Al Iaquinta vs. Rodrigo Damm has been added to UFC Fight Night on September 5th. The event will take place at Foxwoods Resort and Casino in Connecticut. The event will be on a rare Friday night, directly competing with a Bellator card scheduled for that evening as well. 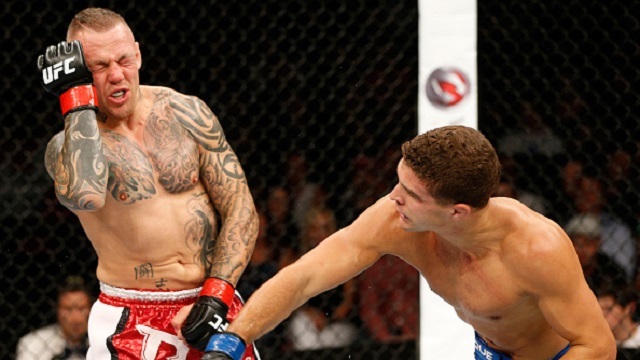 Both Iaquinta and Damm will look to bounce back following a tough loss in their previous fights. An important fight for both competitors as they will look to prove they’re still at the top of the division. Just a small bump in the road for Iaquinta during his last fight. Expect to see a focused and motivated fighter come out looking to send a message in September. As always be sure to check here for constant updates, interviews, T-Shirt sales, and much more. 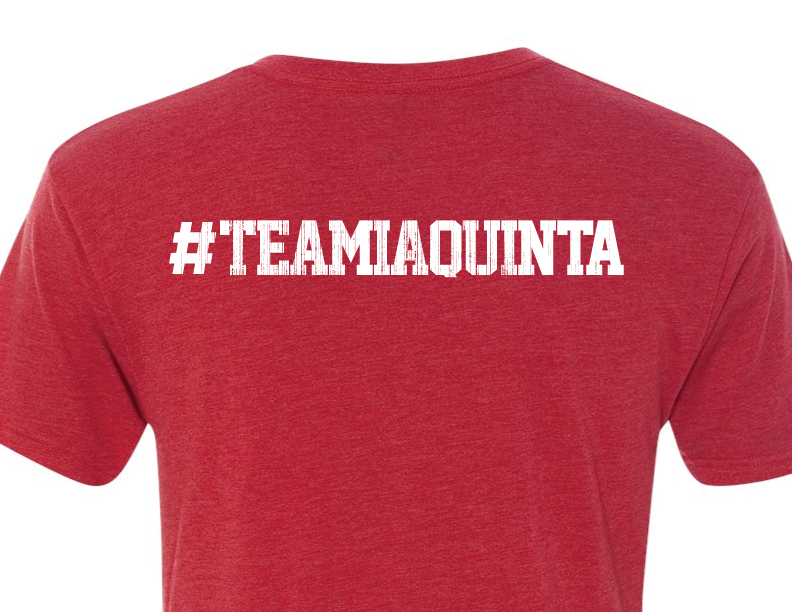 With the fight being so close by right in Conneticut, we hope to see “Iaquinta Nation” out in full force for the fight. I’ll have information on here about ticket sales, hotels, ect. Contact me at MattPellicane@gmail.com with any questions or for T-Shirt sales. Once again Iaquinta Nation it’s fight night(forgive this post for being a few days early but I’m off to Vegas and will be without a computer for a few days). 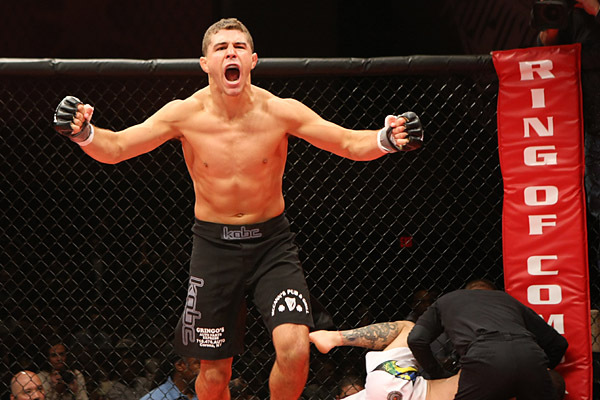 Kicking off this Saturday’s Fox Sports 1 Prelims will be Al Iaquinta taking on Mitch Clarke. Iaquinta comes in with a three fight win streak, and has shown how much his skill set has improved since his year layoff following TUF Live. Clarke who has had a difficult time staying healthy himself, will square off against a focused and motivated Iaquinta.